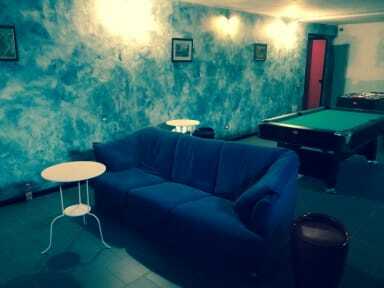 Milano Hostel is very well maintained and clean. The receptionist was very professional in his work. 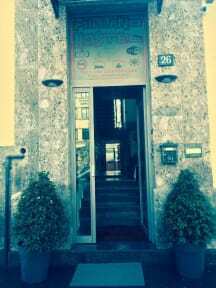 It is located within a short walk from the Milano Centrale train station. It is surrounded by very good restaurants, shops and bars. I highly recommend this place. The front desk worker when I arrived was very friendly and helpful. The hostel was very clean and worth every penny. Really nice staff and very secure. Nice dorm, but some people had problems with getting the locks to work on the personal lockers in the dorm. There was only one bathroom for the floor which wasn't quite enough. And the bathroom had motion sensors for the light, however this meant that the light would turn off in the middle of showering because the sensors were near the door. But overall a nice hostel. The personal was very kind and helpful. It has a beautiful terrace for having a good time. The bathrooms were not very clean, they were pretty small and a bit broken. This hostel is what you would expect out of a '6' rating. I had booked this hostel because it was the cheapest in Milan due to design week and needed a night to stay so I could make my morning flight out of Bergamo. I would only recommend it for that reason. There is little surrounding the area from things to do in Milan, but there is a metro nearby (maybe half a kilometre away). The bed was fine, bathrooms were fine and overall was a satisfactory stay. The place is great! Beds are comfy however once you are in the building anyone can go into any room. There are small lockers however my whole bag wouldn’t fit in. Hot showers but only 2 for the whole building which was not enough. Not the best for solo travelers but will do. One bathroom for the entire floor (lots of waiting) and not that great of a place + a lil far from places.